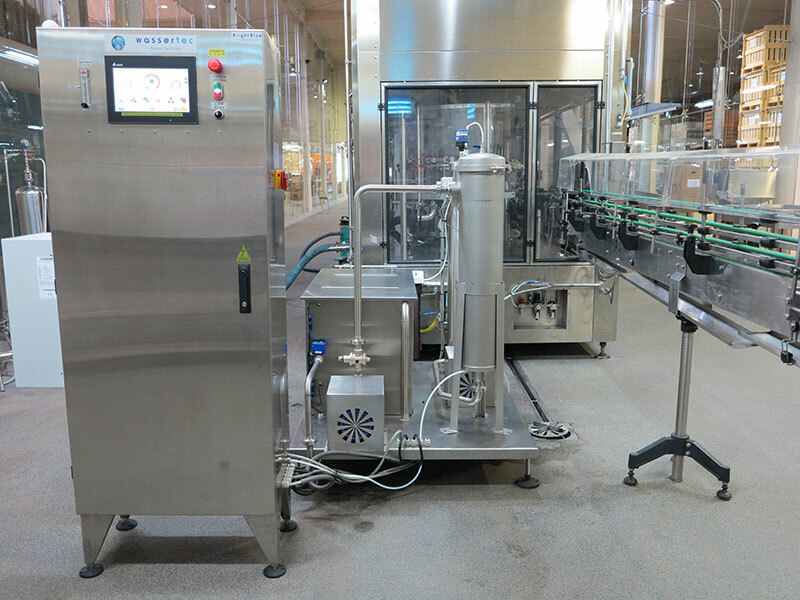 The most advanced ozone system for bottle rinsing & package disinfection currently on the market. Recommended ozone residuals for bottle rinsing. Recycling of rinse water (reduces consumption from +/- 1000 litres/hour to +/- 1000 litres/day. 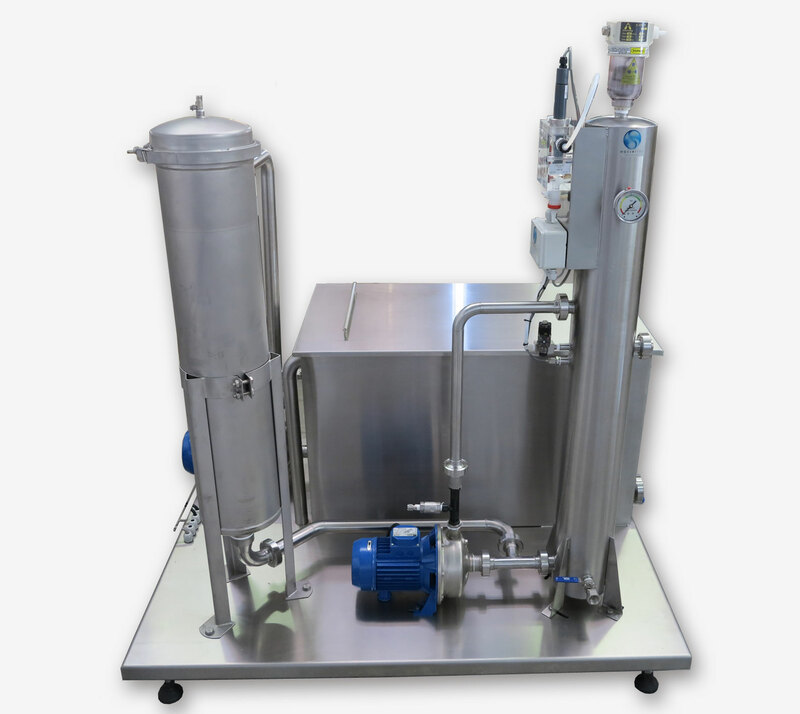 The Bright Blue can be supplied with our water-recycling skid, which captures and re-uses the rinse water. This can reduce water consumption from +/- 1000 litres per hour to around 1000 litres per day.